High-quality heavy duty balance trolley cart with 2-piece slide-in sides, made from wood and steel, with 40cm pneumatic tyres and ball bearing wheel mounts. Can take loads up to 500 Kg. Overall Size (L)220cm x (W)92cm x (H)92cm. Body size (L)183cm x (W)92cm x (H)40cm. Deck height 43cm. Weight 103 Kg. Approaching a third century of trolley manufacturing at Progress Works, Stubbs is still family owned. 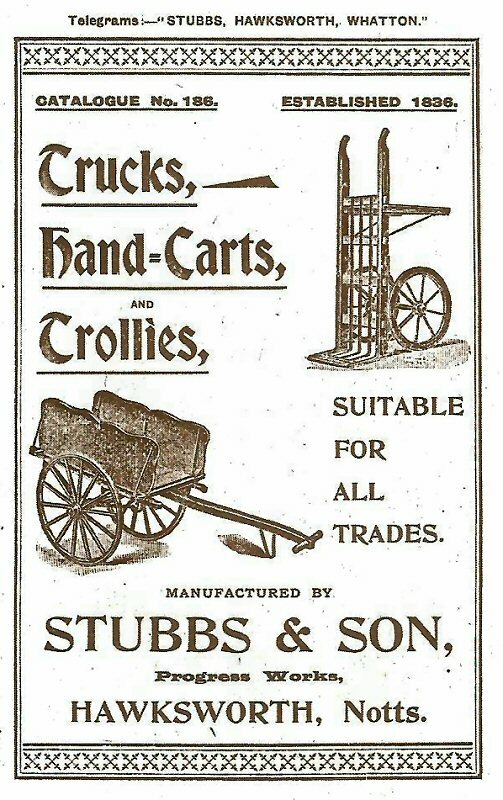 Originating as blacksmiths and agricultural implement manufacturers in 1836, Stubbs is Britains best traditional cart manufacturer. Moves clippings, leaves, pots, logs, paving and tools, and just about everything else! Our Stubbs balance carts are strong, and are designed to save you a lot of wasted effort. Although these our carts shown here are often deployed on large estates, farms & commercial environments, they are also ideal for use in domestic gardens by members of the public who are looking for something that is a step up from the types of carts that are generally available, and a bit special in terms quality, style and durability. Our Stubbs carts have a large carrying volume and are highly maneuverable too. With two 40cm pneumatic tyres balancing the barrow in the middle, you will not need to lift your load (as you do with a non-balanced barrow), you just push (or pull) it. Also, our balance carts are designed not to tip over under heavy loads, even when you are turning corners, which is always a risk with one-wheeled barrows. 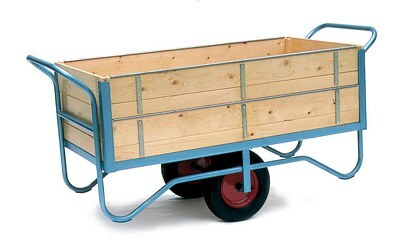 These carts are constructed in the traditional manner, using heavy-gauge steel and wood. They are ideal for moving clippings, shifting pots and planters, hauling logs, paving slabs and soil, or simply for carrying around garden tools, equipment. These are not the only two-wheeled carts available, but they are probably the best you'll find, and their traditional timeless steel and wooden construction style really are a joy to behold - we are very happy to recommend them! Usually sent to UK mainland addresses on a 3-day courrier service. Delivery overseas can take a few days longer. Generally made to order and dispatched within 14-28 days of your order. When you input your address details, you can also add special delivery instructions.